Maki International is a new business, founded on the concept of giving, that I am totally in love with! They sell beautiful, hand-made knit goods and handicrafts made by indigeneous Peruvian women. Maki means hands in the ancient Quecha language. 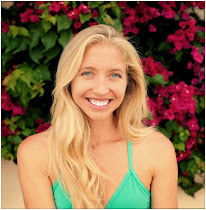 Martha Dudenhoeffer, a local San Diego woman, founded Maki in 2008 when she traveled to Ayacucho to volunteer. She was assigned to a prison of 2000 inmates to help the female prisoners and was quickly amazing by the beauty and craftsmanship of their work. 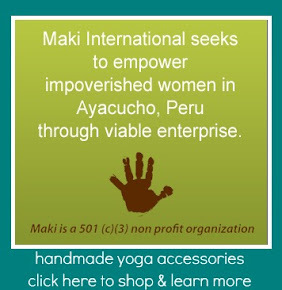 Maki now sells their products online (and in select stores in San Diego) and pays the women directly for their work. All of Maki's profits go back to the women in the form of classes, center improvements and empowerment events and activities. And it gets even better - they make beautiful YOGA MAT STRAPS! highest quality, 100% baby alpaca from Lima, Peru. distinctive gift and a generous donation all in one. It's so great that you wrote about Maki. It's a great organization, and your support is much appreciated. As a former volunteer, I can tell you firsthand that they are doing important and effective work in Peru and they can always use more support! !